A simple, manual molding method in which the product is produced by the overlapping of successive layers of suitable carrier materials. 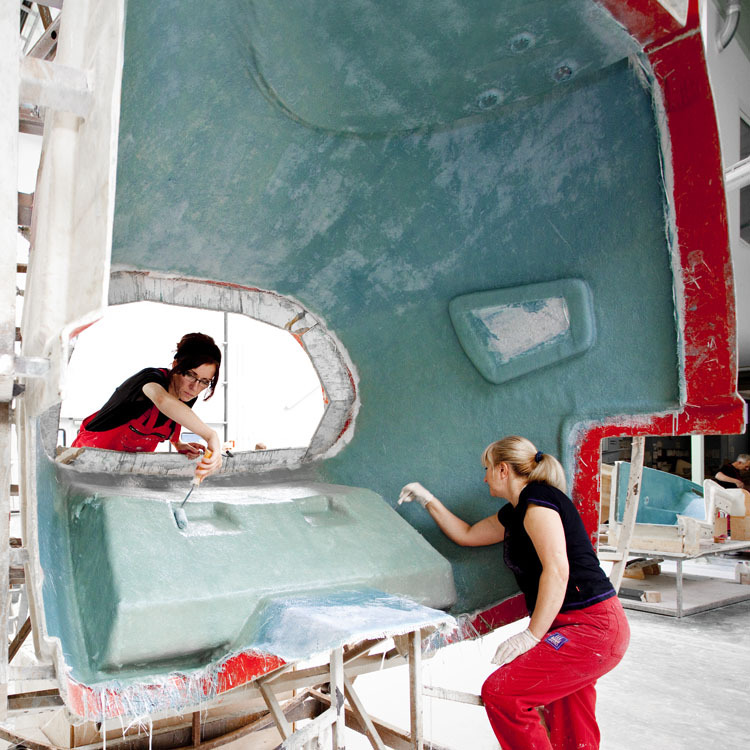 The gel coat is applied in the first place by hand or spraying (using a special machine – SPRAY / GUN version). The carrier materials that give laminates relevant physico -mechanical properties (eg. tensile strength, elasticity, impact and compression strength, etc.) are most commonly fiberglass, technical fabrics, veils, coremats which are impregnated by hand with properly chosen resin. 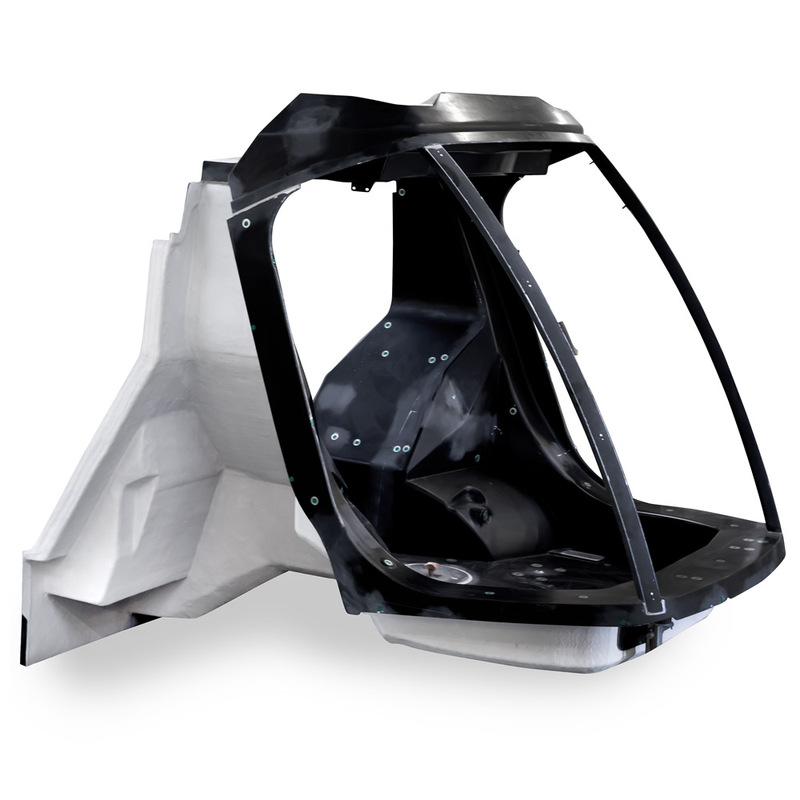 the ability to manufacture components that vary in terms of size, weight, complexity, construction, etc. the possibility to manufacture SANDWICH type laminates, for example: Coremat-laminate-laminate; laminat- Parabeam-laminate, laminate-PU-foam laminate, etc. Apart from technical limitations each method has (eg. Technological radii, wall inclinations) production in this method is pretty much unlimited. 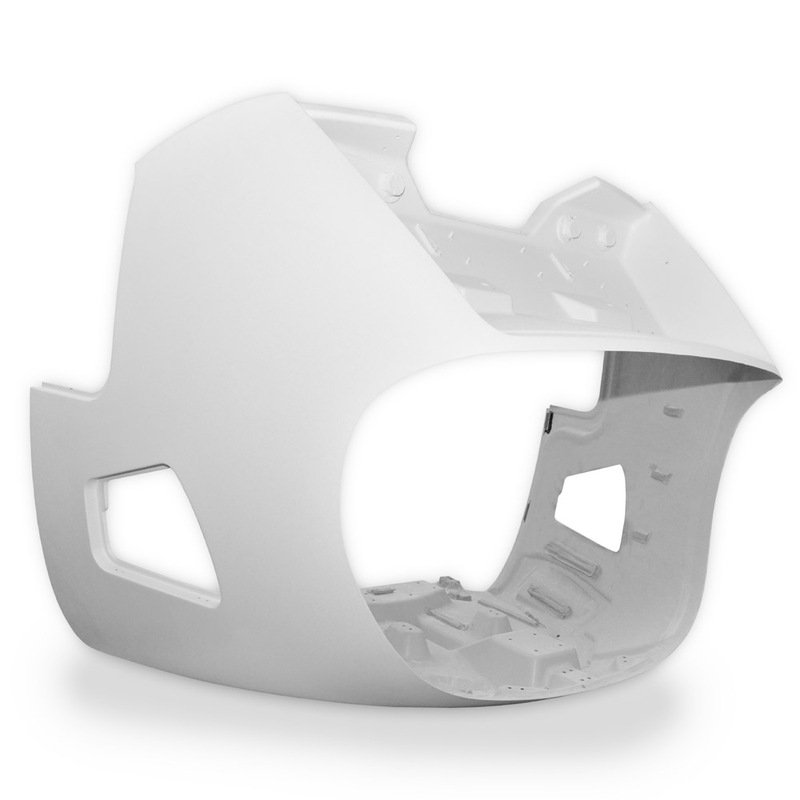 It is possible to manufacture all types of items, even those with the highest degree of difficulty and complexity. high unit production cost – at relatively low gear cost. We are manufacturing self-supporting tram cabin and other elements of the tram both external and internal for our customer from France. Thanks to the work on this project we gained a lot of valuable experience, particularly in terms of structure durability. 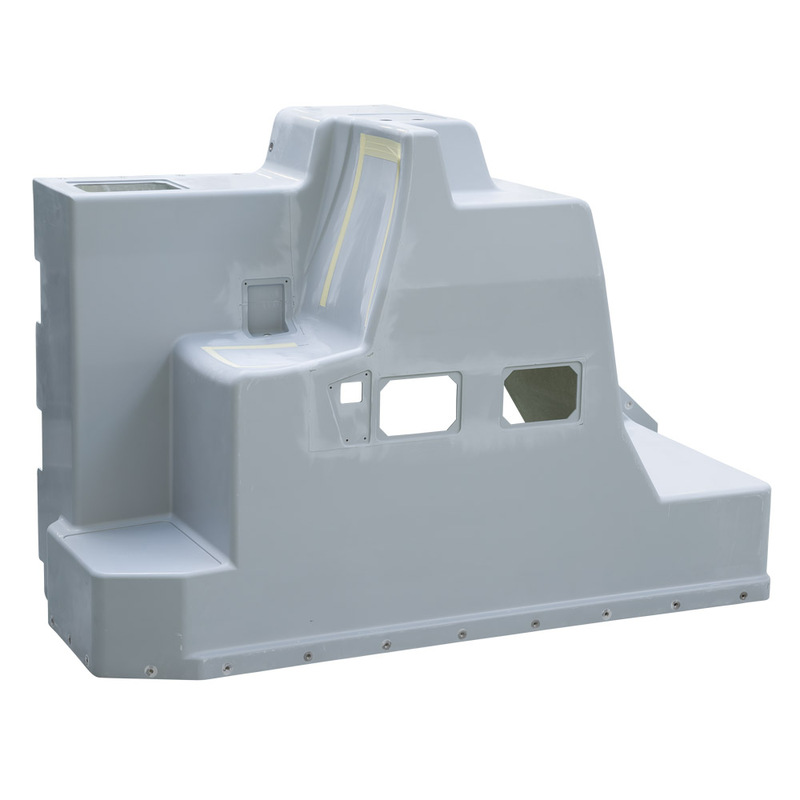 Front walls, external components, wall and ceiling linings, train driver cabin casing, and toilet cabins, desks, benches, seats- these are just some of the elements that we made for the railway industry. 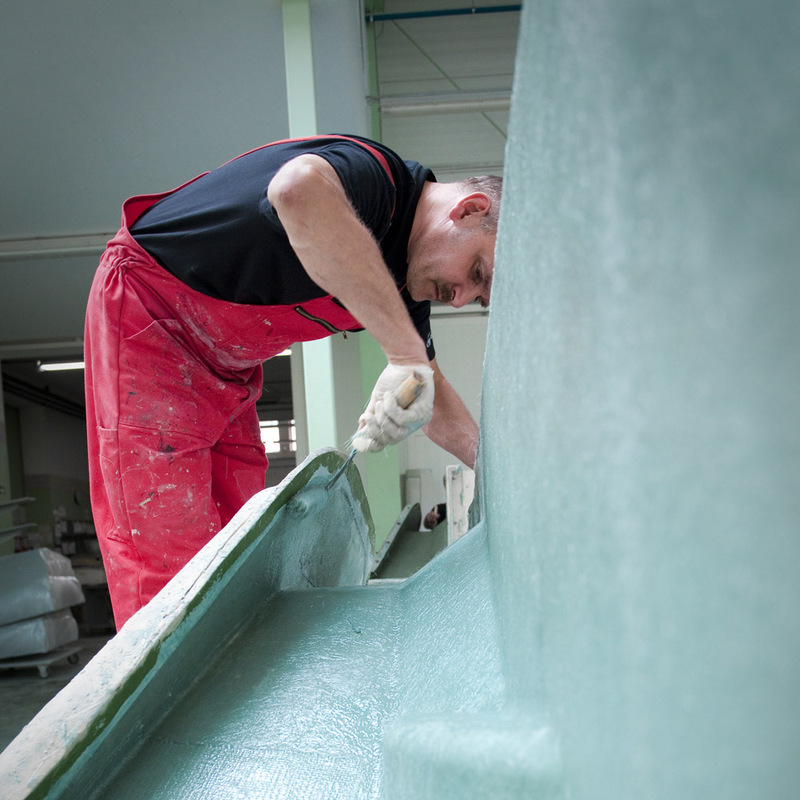 Depending on the project, products are supplied ‘raw’, varnished or in gelcoat, equipped with metal adaptations, foams and other adaptations required by the customer. Our laminates are produced in accordance with PN-EN-45545-2 flammability norm for rail vehicles. They are delivered to our clients professionally packed on racks what guarantees safe transport. We manufactured countless parts for buses. Our portfolio includes components for public buses, coach buses and electrical buses. We work with our customers based on their documentations or we design the elements for them. We are happy to advise our clients and share our experience. We carried out a prison van casing development project for and then we manufactured the whole series of it for our customer. We took into account all the specific requirements given by the final recipient of the vehicles when working on this project. Serviceableness, aesthetics and durability of this solution will certainly be appreciated by the users of those vehicles. 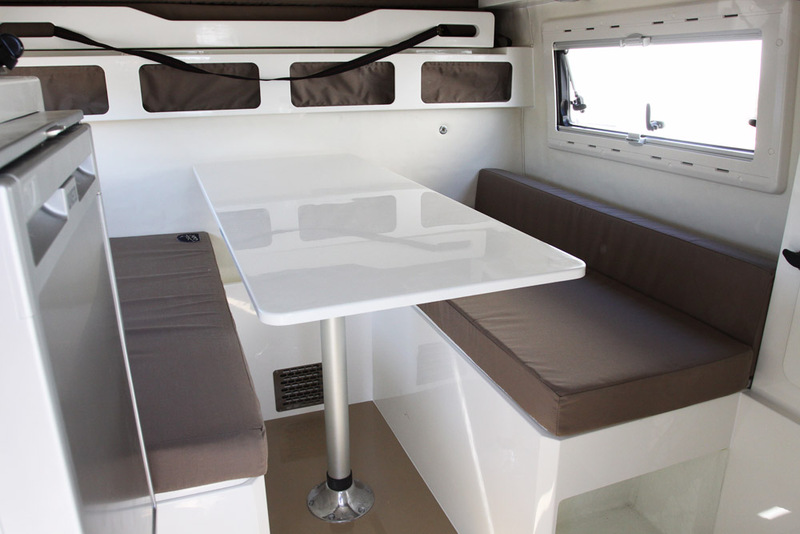 In addition to the camper cabin we manufacture all its internal components , we assemble them and equip according to the customer’s requirements. The result – perfectly composed interior, attention to detail and reliability. Nothing else left to do but take it on the road.